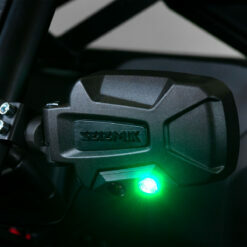 Seizmik’s best selling mirror now comes equipped with white and green Cree LED chips to provide peripheral illumination to the mid-forward and side ground areas around the UTV. 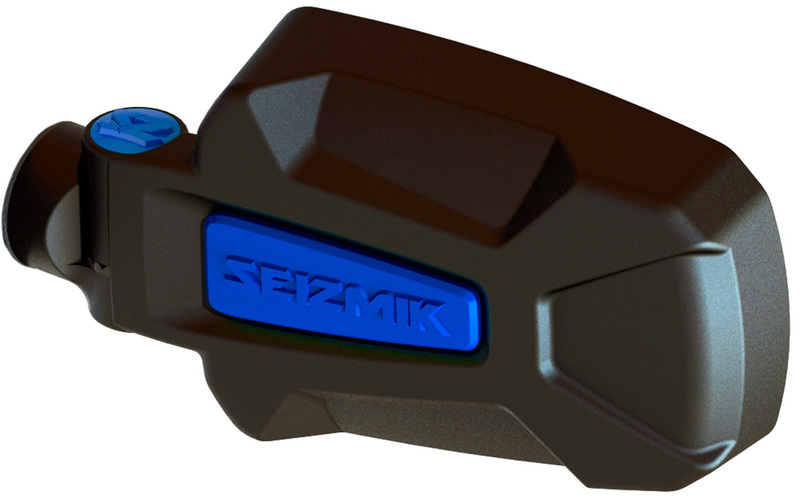 Used for preserving night vision and providing more visual acuity and better differentiation between colors at low-light levels. 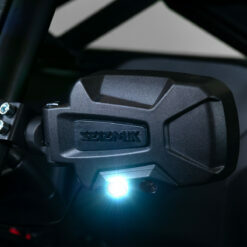 Used for lighting up the mid-forward area not covered by headlights or light bars, increasing the peripheral illumination. 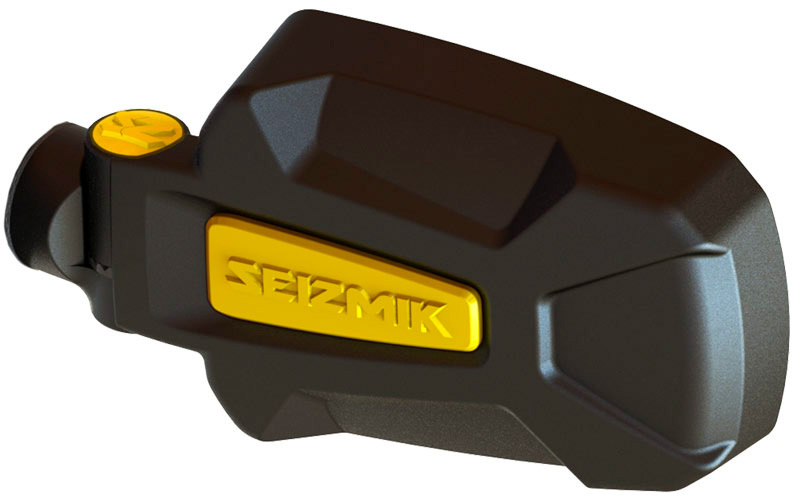 Illuminates the ground area so drivers and passengers can see the conditions they are stepping onto/into. 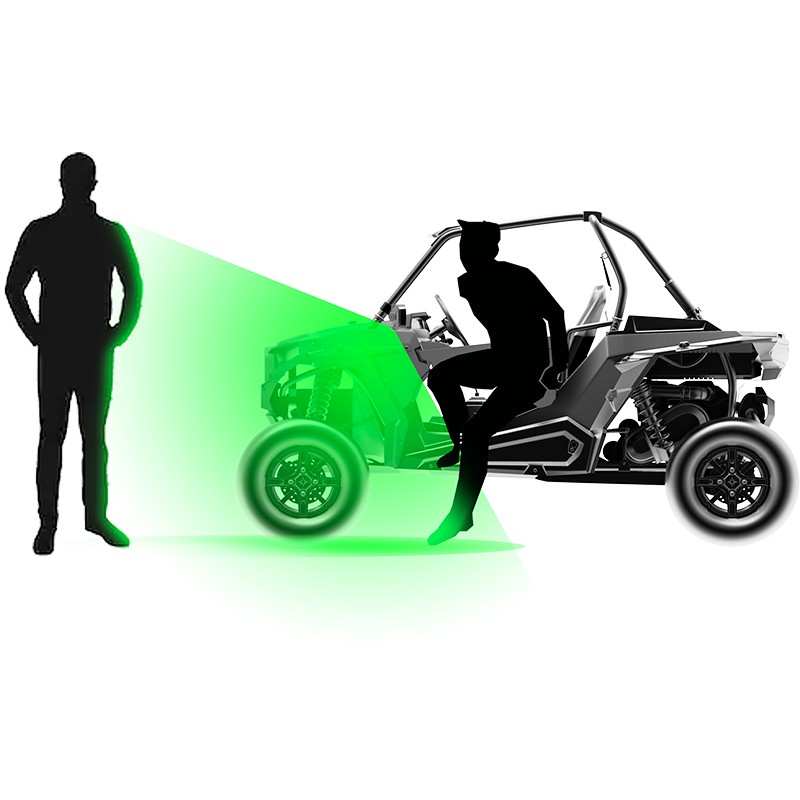 Strategically placed to provide extended peripheral vision illumination to the mid-forward and side ground areas. 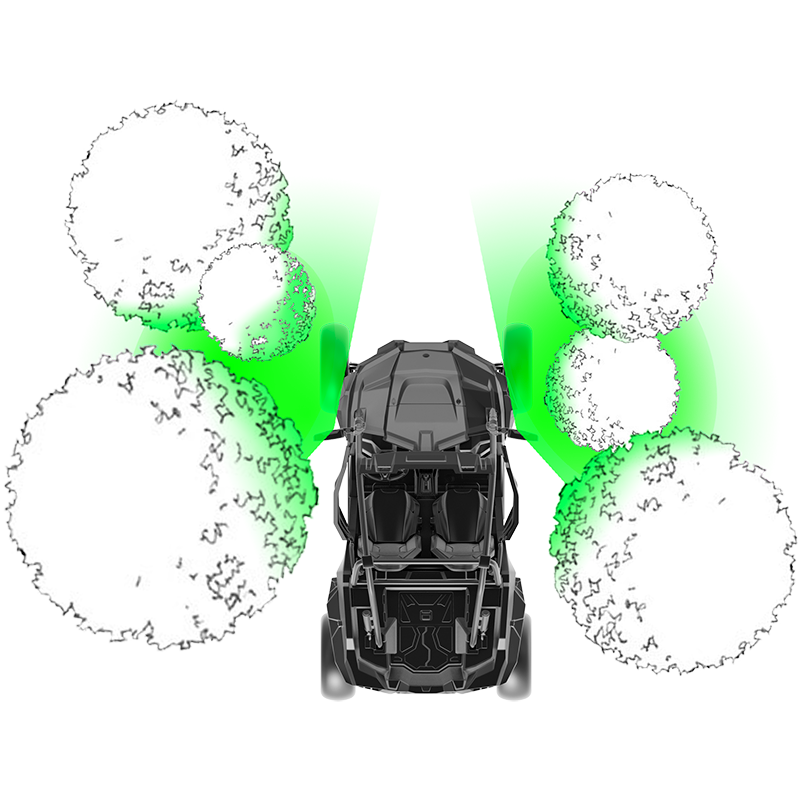 Allows drivers to see what’s next to them on tight paths. 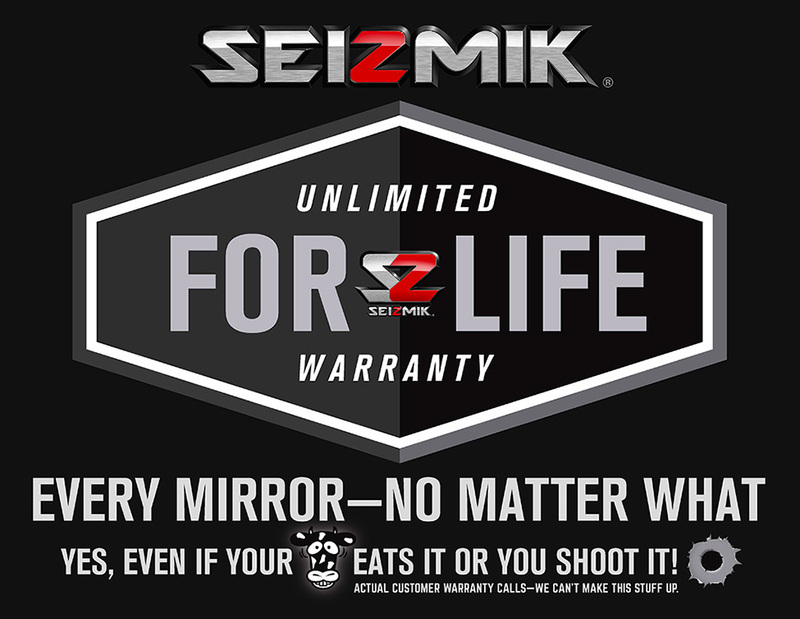 All Seizmik mirrors come with a 100% Unlimited Lifetime Warranty—regardless of how the mirror was damaged. Every mirror, no matter what—even if your cow eats it or you shoot it (actual customer warranty issues—we can’t make this stuff up)! 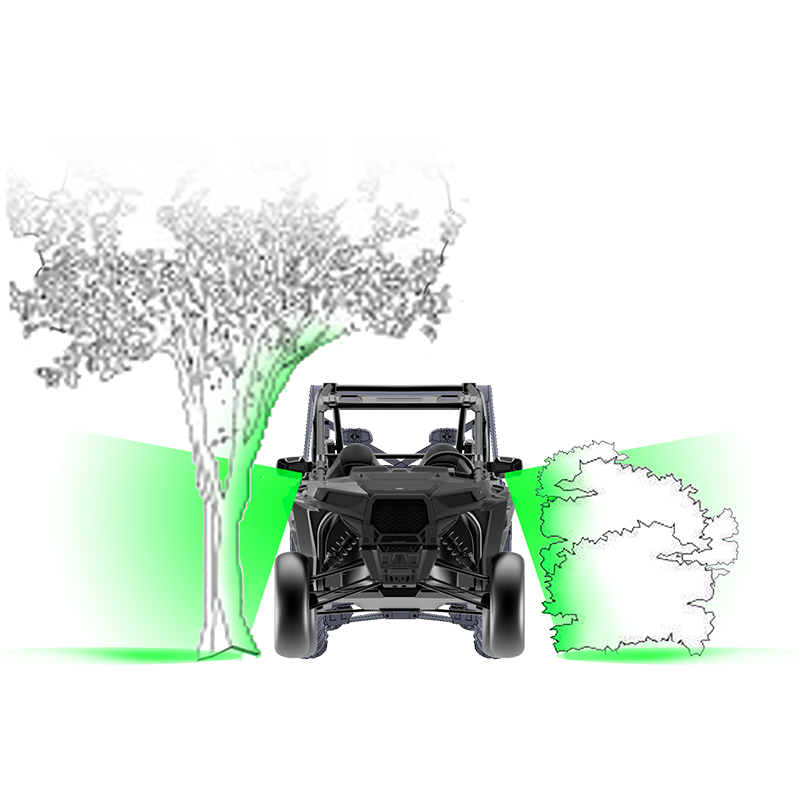 *Sold separately—black comes standard with the mirrors.